What is the power or driving force of your life? Is it the presence of God or are you constantly buffeted by the winds of success, comfort, fear, or anxiety? Loss of a job can lead to depression and anxiety. A sickness, physical assault, betrayal of a friend/lover/co-worker, or an accident can lead to mental, physical, and/or emotional trauma. All these obstacles can serve as catalysts to a deeper prayer life, intimacy with God, and greater empathy. A difficult child or supervisor can lead to greater faith and patience. Nothing is wasted in the lives of the children of God. No matter what we’re facing, we can seek the will of the Lord, whether it be a pleasurable pursuit or challenging trial. The mistake comes from striving or resisting desires and difficulties on our own, without seeking God’s assistance and guidance. If we want to experience lasting peace, it is critical to keep walking on the path of faith, not to focus on the obstacle, but trust and obey the One who has a great plan for our lives and loves us unconditionally, God our Father. It’s so simple, yet we make it incredibly difficult and complicated when we forget to keep our minds on our Heavenly Father and His Word versus the obstacles we face in this world. Will you join with me and intentionally fix our minds on the character of God? Together we can #embracethejourney of staying focused on Who He is and trusting Him at His Word. 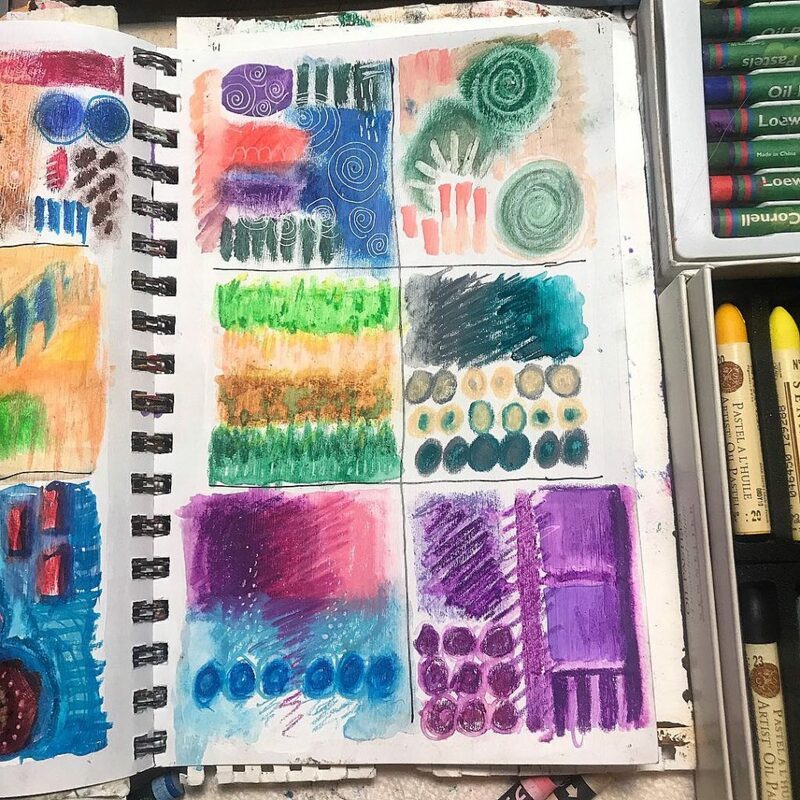 Mixed media color studies in art journal. © Julie Shematz 2019. Ok, I did it … 2 posts in a 2 weeks! Yay! Thanks for joining me here. If you’re interested, I’m posting daily on my instagram and facebook fan page. I post mostly in the stories, but try to post on the timelines at least once a day. 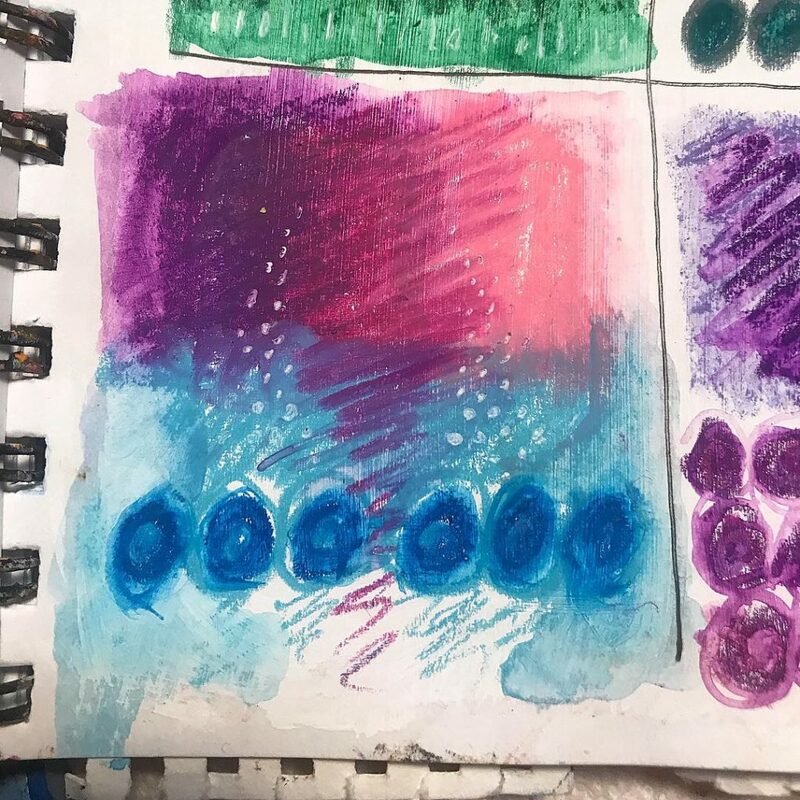 Come check out what I’m creating in my art studio, I’m truly in a new season and God is doing a new thing with my artwork and creativity. I’d love for you to join me. See you there!